1. The house in Bredbury where it all began. 4. The Arden logo was inspired by Frank’s military heritage and the hawk emblem of his regiment, while the name was a nod to a local noble family. Two brothers, one saw and a workbench in the cellar of their family home marked the humble beginnings of the Arden journey. In 1964 the Poynter brothers – Frank and Philip, along with their friend George Snowball, set up shop in the cellar of their mother’s semi-detached house in Bredbury, Stockport. Philip and George would clock off from a day’s work making dies at a local printing firm and head straight for the cellar where they’d continue their craft. Salesman Frank would sell the dies and secure the orders and within a matter of months the ambitious trio had the makings of a lucrative business. 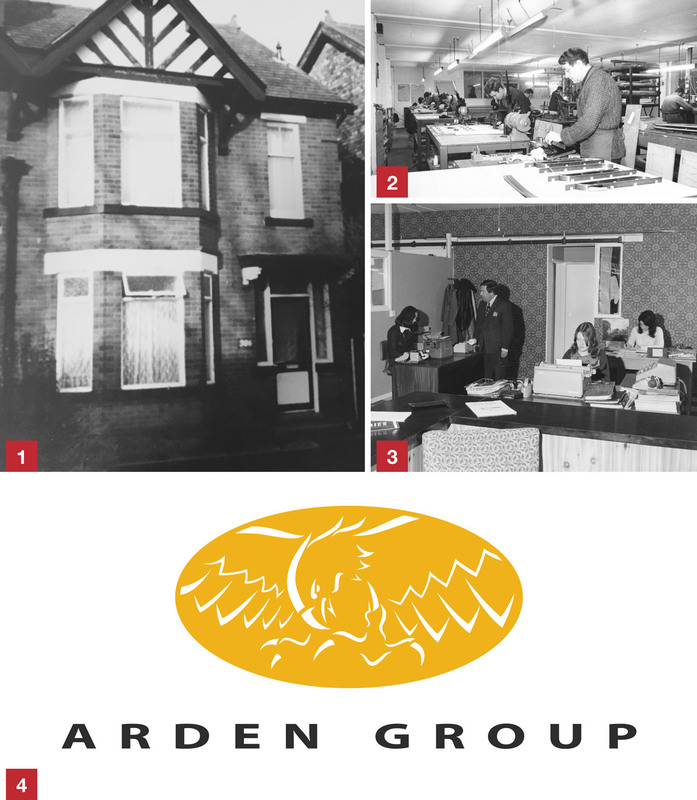 Just four months later in February 1965, they’d outgrown their 10ft square underground workspace, and moved into their first official headquarters in Marple, and Arden Dies – the first of the Arden companies – was born. The Arden name was inspired by the noble Arden Family of Bredbury – wealthy landowners whose estate encompassed the Poynter brother’s family home where their journey began. Former RAF man Frank, had served in the Path Finders Force (PFF) of the Lancaster Bombers, and with a nod to his military heritage, incorporated the PFF Hawk emblem into the new Arden company logo, which is still used today. 4. Frank was interviewed in The Cutter and Creaser magazine in 1975. During the early days, dies were made in the traditional way of drawing the shapes directly onto plywood before cutting them out with a jigsaw. But Frank was a modern man with a vision to remain at the forefront of technological innovations and pushed for investment in new laser technology. It was a bold move from Frank, but it was the right move for Arden, who were one of the first to adopt such cutting-edge laser technology. In 1978, Frank’s son Martin joined the ranks, and with a background in mechanical engineering, continued to drive the company forward. 2. The Arden site under construction. 3. 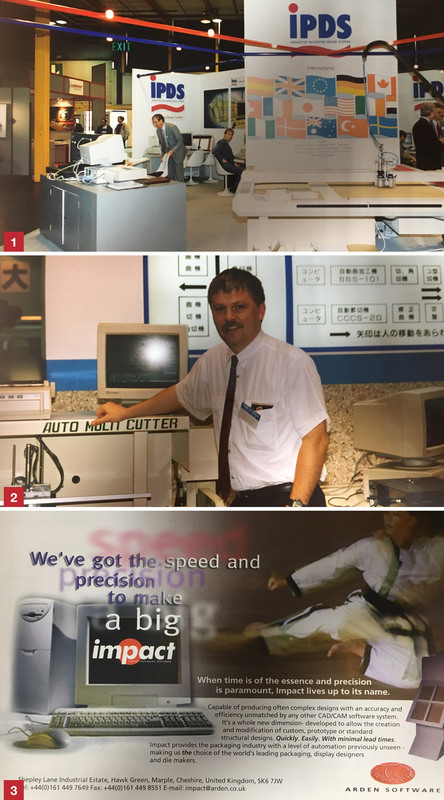 One of the first IPD promotional brochures for Arden Software. During the 1980s, Arden continued to expand and a partnership with German company and now co-owner Marbach – a leading giant in the packaging sector – soon followed. It was a move which enabled Arden to further invest in state-of-the art technology cementing their position as a leader in the field. In 1985, the company moved into a purpose built factory unit in Marple, where they remain today. The new site was officially opened to huge fanfare by the then Vice Chancellor of Salford University – Professor John Ashworth (pictured here right). As the use of automated packaging machines grew, the demand for more accuracy in box production increased which couldn’t be met from the traditional methods of die-making – and Arden continued to invest in new Computer Numerical Control (CNC) technology. Martin soon spotted a gap in the market for specialist packaging software for die-makers and enlisted the help of a couple of colleagues from the ‘back office’ to begin producing their own CAD/CAM software. 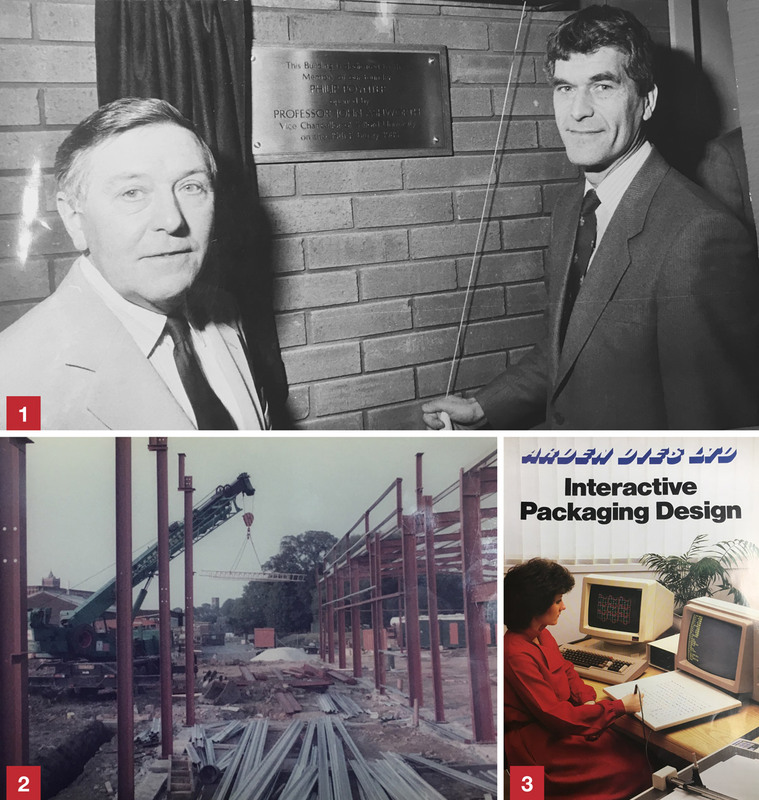 Before long the bespoke software – then known as IPD (Interactive Packaging Design) – was garnering interest across the sector and in 1988 Arden Software was born. 1. Showcasing the IPD software at a 90s trade fair. 2. MD Martin Poynter took over at the helm when his father retired. 3. An early advertisement for the Impact CAD software. During the 1990s the software division of the Arden brand continued to grow, increasing its customer base and employing more engineers and developers to advance the software. Towards the end of the decade a decision was taken to rebrand the IPD software and it became Impact – the leading packaging design software that is used all over the world today. But the Arden group of companies didn’t stop there, in 1999 we branched out into the embossing sector. The engraving arm of the organisation was formed following a chance meeting between MD Martin and a senior employee at our then embossing plate supplier. The pair decided to join forces and launched Arden Engraving, which operates out of a 400sqm, purpose-built factory at the company headquarters in Marple. With customers all over the world, Arden Software recognised the need to expand its global divisions and in 2008 launched its first overseas office in Utah, America – which became known as Arden Software USA. This was quickly followed in 2010 by new offices opening in Denmark and Germany – Arden Software A/S and Arden Software GmbH. In 2016 came our most recent overseas expansion – Arden Software Asia Pacific when we opened a new office in Delhi, India. 1. 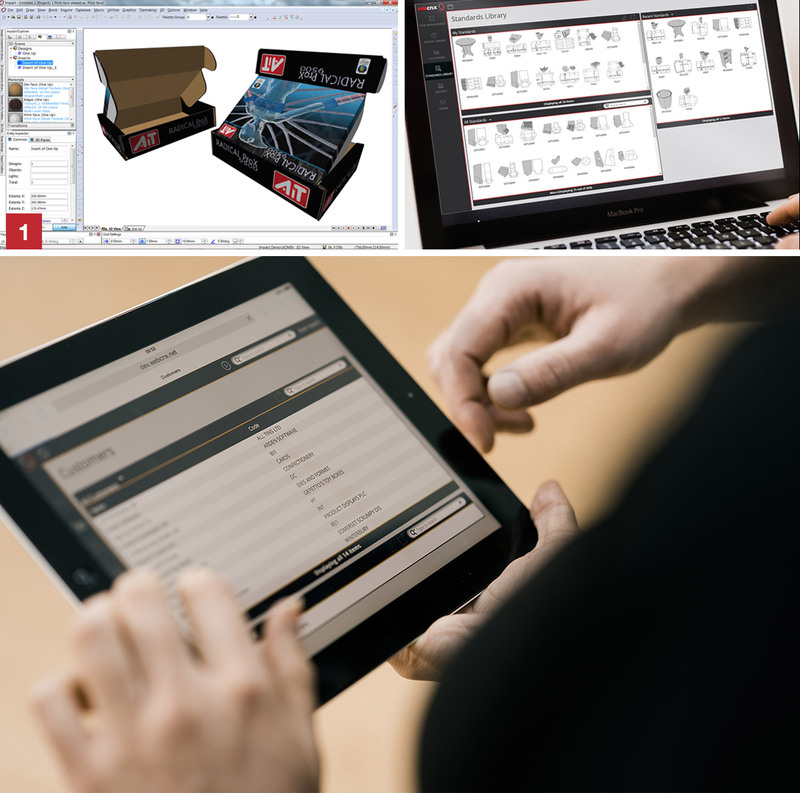 Today Arden Software delivers a range of cutting-edge packaging software solutions with its suite of products. 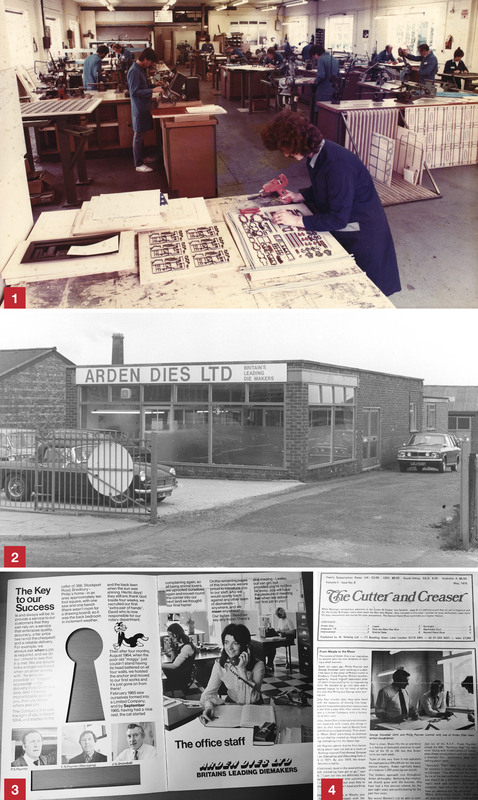 Now, more than half a century since the Poynter brothers first set to work in their mother’s cellar, The Arden group of companies employs 165 people around the world and has an annual turnover of £11 million, through our Dies, Engraving and Software divisions. For Arden Software, we now have a global workforce of more than 60 people, thousands of customers around the world, and are renowned for our innovations in CAD and CAM software for the print and packaging industry. We’re also proud to be an international leader in the development of structural design, die-making and workflow management systems, and deliver a suite of cutting-edge software products including Impact, Enterprise and WEBcnx.